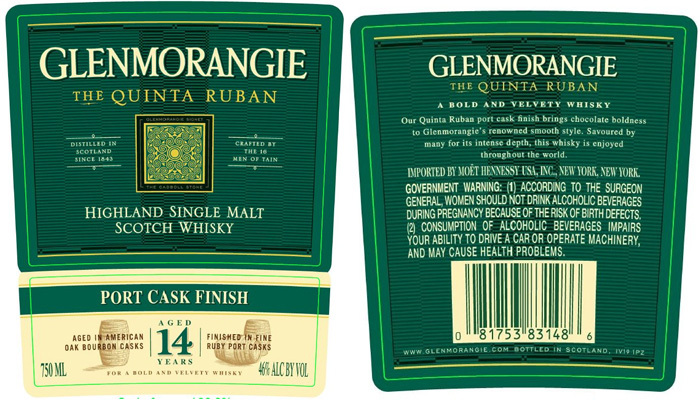 Glenmorangie Quinta Ruban is a 12 year old, port cask finished Highland single malt. But, according to this label, it will soon be a 14 year old, port cask finished Highland single malt. With a green label in stead of a black one. American actor Nick Offerman is most famous for his role as Ron Swanson in the sitcom Parks & Recreation, but he also starred a Lagavulin commercial. Now, Nick Offerman is getting his own, 11 year old Lagavulin expression. 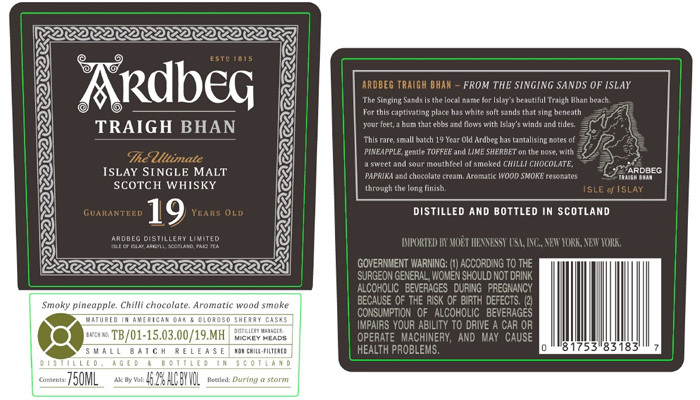 According to Ardbeg‘s label info, this 19 year old, small batch release was bottled during a storm, and aged in American Oak and Oloroso Sherry Casks. 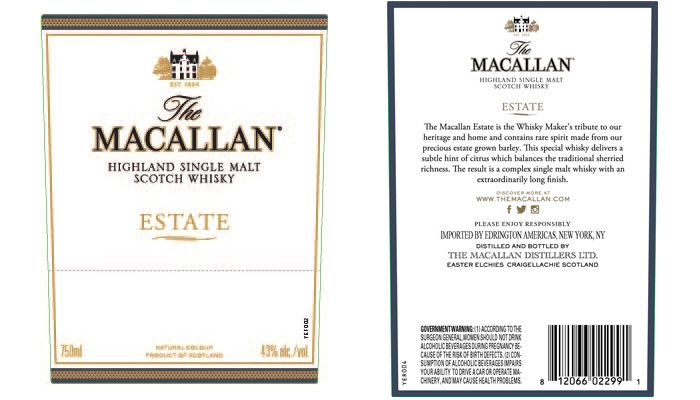 Estate seems to be a new non-age statement release from The Macallan. Perhaps an entry-level version of the Macallan Estate Reserve, bottled at 43% abv? The third expression in Highland Park’s Viking Legends series will be named Valfather, following Valkyrie and Valknut. Apart from the abv (47%), the label does not reveal much about the whisky itself. 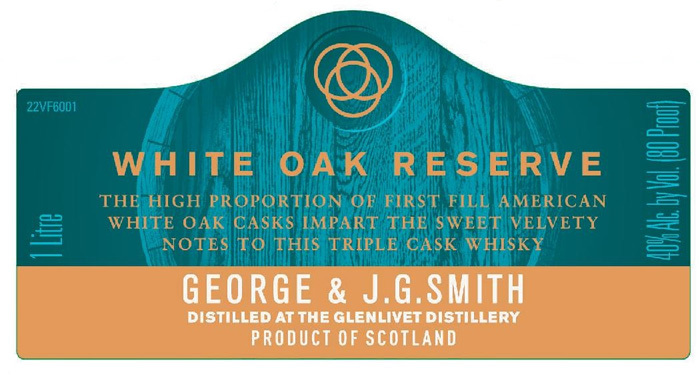 This new Glenlivet single malt does not have an age statement, but its triple cask maturation surely includes some time in first fill American White Oak casks. Since it’s a one litre bottle, this will probably be a travel retail expression. 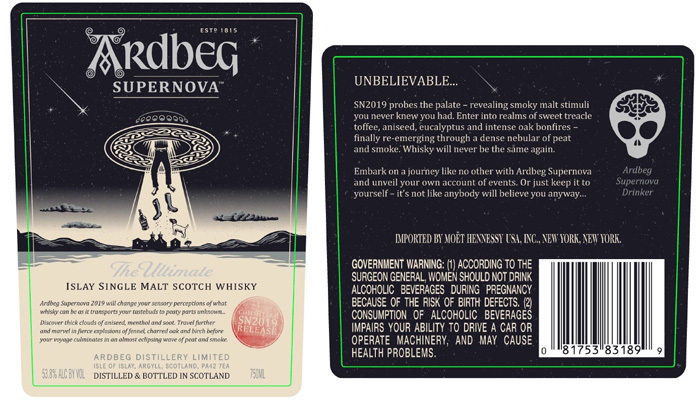 Between 2009 and 2015, Ardbeg has released multiple Supernova bottlings. But after Supernova 2015, it became Supersilent. But that might change, since a label of SN2019 has surfaced, indicating that a Supernova-revival might be coming.